Welcome to this site, especially if your name is Porteous, or you are a family historian or genealogist researching the Porteous or Porteus families. You are one of many individuals worldwide who are engaged in a similar search. It should be noted that, for the purpose of this research, when discussing the Porteous/Porteus family, we are including members of families bearing the many variant spellings, such as Portteus, Porteouss, Porteious, Portieous, Portious, Portiss, Portice, Portes, Portess, Portis, Portas, Pertus, Portus, Porteuse, Poythress and Porthouse, and others. We hope you find this site useful, as it contains details of how to contact the Porteous Associates research group and various mailing lists and bulletin boards devoted to researching the family name, as well as a number of other Porteous and Porteus websites belonging to family genealogists and researchers across the world. One of the aims of the Porteous Research Project is to examine the emigration of the family from Scotland to Ireland, England and across the world, providing an Analysis of the migrants and seeking an understanding of the historical background and sociological factors which led to that vast movement. It should be stressed that this is a work in progress and it will be many years before our research is complete – if ever! We hope to introduce increased interactivity in the near future, including a searchable database of emigrants, as well as maps illustrating the movement and settlement of Porteous and Porteus families across the world. In the past few years, family history research has been completely revolutionised by the possibilities afforded by DNA testing of individuals. Many hundreds of family research and same-name groups have begun DNA research studies, and have already recorded fascinating results. While the overall outcome of these family projects may take some years to collate depending upon the number of participants, each person's DNA can be analysed and provide immediate evidence of their ancestral background and family origins. Now, the Porteous Family DNA Project has been launched, in order to add to our knowledge of the origins of our family members. Read more details here. This is open to any male who holds a Porteous or Porteus (or any other variant spelling) surname from their father's side. Female family members who are interested in learning about their Porteous ancestry will need to find a directly related male relative to submit a sample. The test is simple, and is performed by taking a simple swab of the inside of the mouth, which is then sent away to a specialist laboratory for analysis. HOW CAN I BE PART OF THE DNA PROJECT? Click here to read a letter from Jason and Doug Porteous, introducing the study and outlining in slightly more detail how it works, what it costs and what you can expect to find out. Click this link to Learn how to sign up for the Porteous DNA Project or to find out more about what is involved. 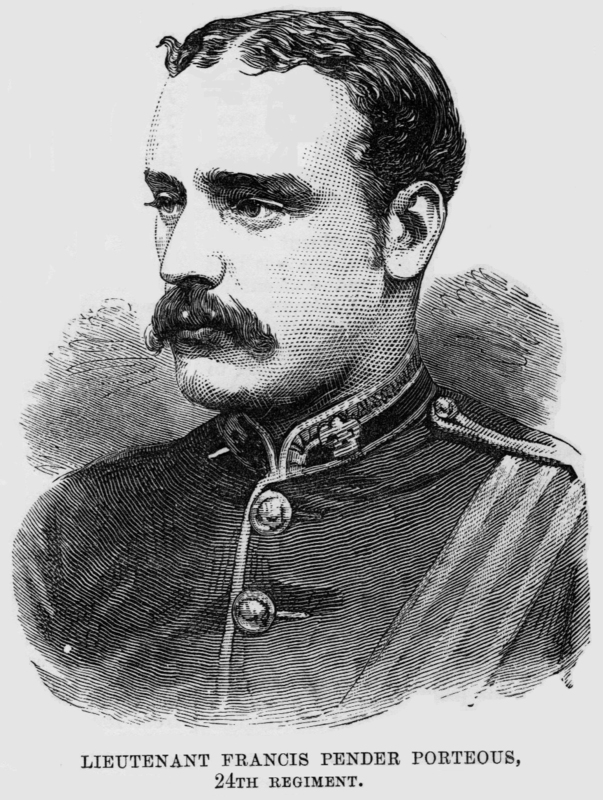 The British, under the command of Lord Chelmsford, had totally under-estimated the number of the Zulu forces ranged against them, as well as their tactical abilty. They were, in fact, surrounded and the Zulus used a classic pincer movement (known as "horns of the buffalo"). Chelmsford, not anticipating an attack, had divided his forces, moving about half the total number some miles to reconnoitre to the east in search of the main Zulu army, and leaving five companies of the 1/24th and one of the 2/24th (67 officers and 1,707 men) with two guns and a small native contingent, at Isandlwana under the command of Colonel Durnford, establishing what was to be a temporary camp. 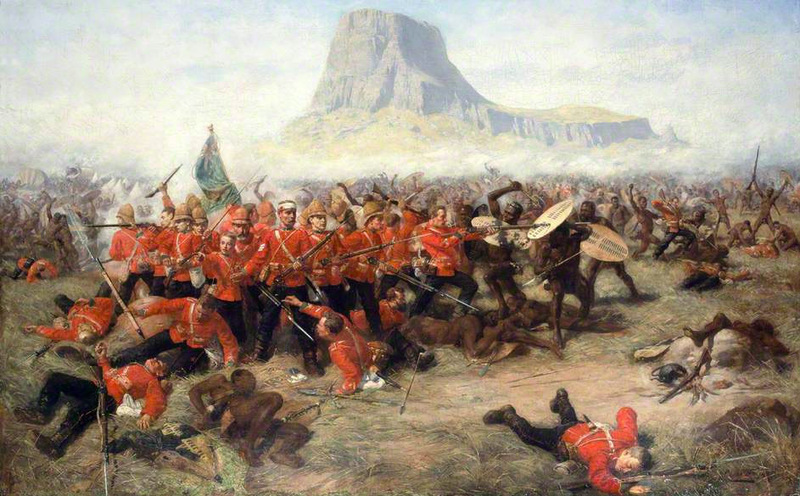 However, the Zulu army of 25,000 warriors had outmanoeuvred Chelmsford, moving behind his force on to Isandlwana. When their huge force was discovered by a mounted patrol they launched their attack on the depleted British camp. Six British companies were ranged at intervals along the course of the Nyogane Donga river, together with the Natal Native Contingent (NNC), below the Nqutu Heights plateau. The Zulu forces broke through their defences through sheer force of numbers, and on the orders of the camp commander the British spread out around the camp perimeter. 'A' Company was commanded by Porteous (some sources say he was in temporary command of 'E' Company). Regardless, they initially stood their ground against overwhelming force of Zulus, but were eventually overrun. At Isandlwana, the British suffered their worst defeat ever in the history of their Colonial warfare: the casualties amounted to 907 white soldiers and 471 of the 800 black soldiers fighting on the side of the British, a total of 1329 men. When news of the catastrophic defeat reached home by telegraph, it stunned the British empire. The fact that the troops of a major European power, equipped with modern rifles and artillery, could be wiped out by native army with what amounted to stabbing weapons, was unthinkable. It helped to transform the nation's attitude towards warfare. Porteous' body was never found. It probably lies in one of the mass graves that today litter the battlefield. 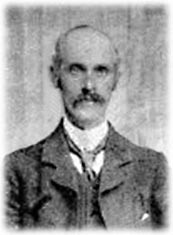 Francis Pender Porteous was aged 31, the son of James Porteous and Emily Kemble of Jamaica. The Porteous and Porteus family has had a rich and distinguished history, and we mention below some of the varied individuals who form part of our heritage. One of the fatalities of the sinking of of the R.M.S. 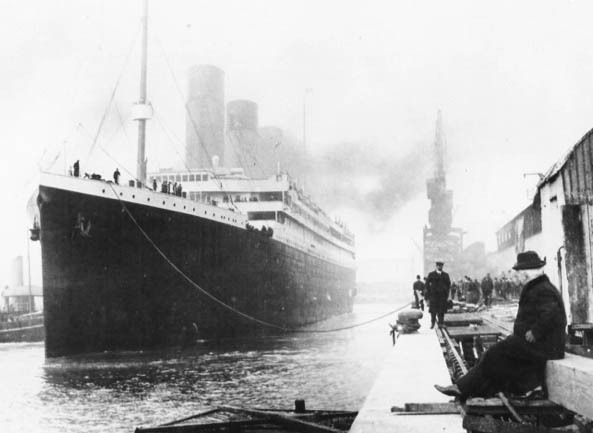 Titanic, in April 1912 was Thomas Porteous, a butcher from Hartlepool, County Durham, England. He signed-on as one of the ship's A la Carte crew at Southampton. His body was never recovered after the ship sank in the early hours of April 15th. The first victim of the Great Plague of London was Margaret Porteous. She was buried on 12 April 1665 in Covent Garden. By the end of that year at least 110,000 people had died. A former colleague, a Scottish teacher by the name of William Campbell from Glasgow, called me out of the blue. Knowing my interest in the family, he'd looked out some photographs he'd taken of the front of the shop William Porteous and Son, stationers and map-sellers of Glasgow. He had actually worked there as a paperboy when he was a teenager. I also remembered seeing the shop – thirty years or so ago, but had been unable to trace it through the Internet or the library. On the next page is the photograph of the old shop front in Exchange Street. It is now a Starbucks coffee house. As far as we know, the first member of the Porteous family to emigrate from the British Isles was Robert Porteous from Lauriston, Edinburgh, who travelled to Krosno in Poland in 1623. 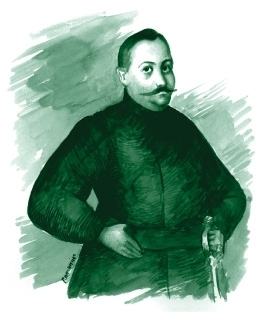 He became a successful merchant throughout Lithuania, Silesia and Prussia, and founded an international wine importing business between Poland and Hungary, which continues to this day. His portrait still hangs in the Parish church in Krosno, where he is buried. His name is spelt "Portius" in Polish. 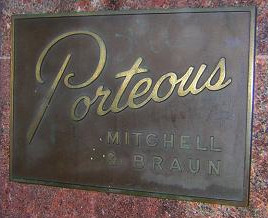 The last Porteous department store in New England closed in late October 2003, ending 126 years of operation of this famous chain which had begun in 1873 as a small store selling dry goods. Situated at Aroostook Centre Mall, Presque Isle, Maine, it had been part of the Dunlap Company of Fort Worth, Texas for the previous ten years.